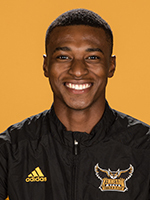 Dayo will have one year remaining after spending 3 years at Kennesaw. Competed in six meets … opened the outdoor season at Florida Relays finishing first in the long jump with a leap of 7.40m (24’3.5) and finished ninth in the triple jump with a leap of 15.24m (50’ 0") … competed in three events at North Florida Invitational finishing third in the long jump with a season-best leap of 7.67m (25’2), fifth in the javelin with a toss of 43.25m (141’ 11") and 11th in the triple jump with a leap of 14.37m (47’1.75") … finished sixth in the triple jump at the Virginia Challenge with a season-best leap of 15.39m (50’6) … competed in five events at the ASUN Championships winning three gold medals and a silver medal … won the gold medal in the long jump with a leap of 7.80m w (3.5) (25’ 7.25"), the triple jump with a leap of 15.20m w (6.2) (49’ 10.5") and the high jump after clearing 1.90m (6’ 2.75") … won the silver medal in the 110m hurdles in a time of 14.05 … he finished the meet as the Most Valuable Performer … competed in three events at the NCAA Championships East Preliminary Rounds … had leaps of 7.21m (1.7) (23’ 8") in the long jump to finish 25th and 14.58m w (2.2) (47’ 10") in the triple jump finishing 40th … ran times of 14.08 and 13.97 in the 110m hurdles at NCAA East Prelims. 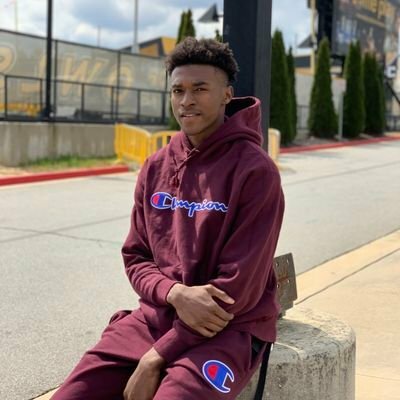 Competed in four meets … posted marks of 14.91(48’11) in the triple jump and 7.11(23’4) in the long jump which were good enough to win the triple jump and fourth place in the long jump … steadily improved his 60mh time at the Music City Challenge in Nashville, TN posting a time of 8.04. He would finish the day with an ASUN conference best and indoor personal best of 15.35m(50’4.5) in the triple jump which leap would be good enough for third place … at the ASUN Conference Championships he would run a personal-best in the 60mh with a time of 8.00 … would also earn a gold medal the triple jump with a leap of 14.89m(48’10.25), a silver medal in the long jump leaping 7.27m(23’10.25), and a bronze medal in the high jump clearing 1.86(6’1.25) … he finished the meet as the Most Valuable Performer. Was part of the school-record 110m-short hurdle team that broke the school record in 58.50 seconds at the Florida Relays … finished third in his first career decathlon at the South Alabama Invitational scoring 6420 points while collecting wins in the long jump and the high jump … won the triple jump at the Virginia Challenge with a leap of 15.32m ( 50’ 3.25") … collected three medals at the ASUN Outdoor Championships … earned a silver medal in the triple jump after leaping 15.25m (50’ 0.5") and the long jump after springing 7.32m (24’ 0.25") … also took home a bronze medal in the in 110m hurdles after crossing the line in 14.29 seconds … competed in the NCAA Championships East Preliminary Round in the triple jump landing a wind-aided jump of 14.87m (48’ 9.5") which is second farthest in school history. Opened the season with a third place finish at the BSC Panther Invitational in the 60m hurdles … had his season- best long jump of 7.40m (24’3.5) … competed in his first heptathlon at the Samford heptathlon/decathlon event … won the triple jump at the ASUN Indoor Championships with a leap of 14.84m (48’8.25) … also collected a silver medal in the long jump after a leap of 7.04m (23’1.25) and was third in the 60m hurdles crossing the line in 8.15 seconds. As a Junior, Dayo won the ASUN 60m hurdles, Long Jump, and Triple Jump. He also finished 9th at the NCAAs for the 110m hurdles and was a regional qualifier for the Long Jump.